Picture this: You’re in the sketchy part of town with a friend at 2am to buy some oregano. Your friend uses more oregano than you, so you decide go splitsies with him getting 75 percent and you taking 25 percent… you’re making pasta tomorrow, after all. 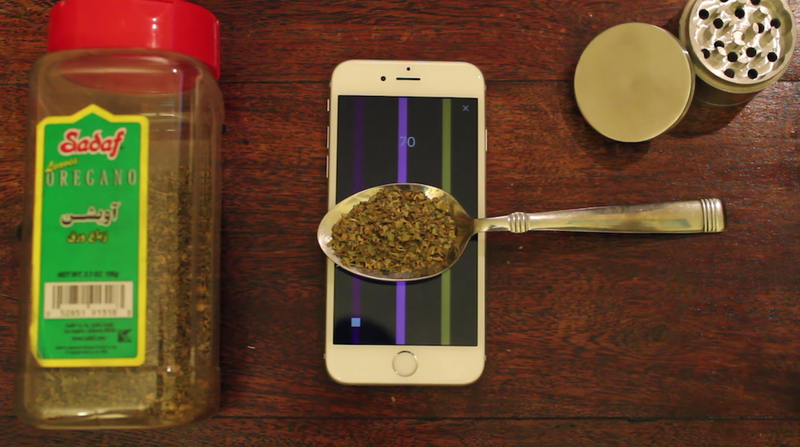 Since most of us aren’t in the habit of carrying around a scale with us, and we all like to ensure that we’re receiving exactly the amount of oregano we’ve paid for, a smartphone solution makes sense. The iPhone 6s and 6s Plus both have 3D Touch, which could make a perfectly suitable scale. Thing is, Apple forbids them from being sold on the App Store. Steady Square is different. Or, at least asafagus, an app developing Redditor, wants you to believe that. To bypass Apple’s guidelines forbidding scale apps, asafagus made a Flappy Bird clone instead. This clone, however, has a built-in scale. Using the iPhone’s 3D Touch feature, and a conductive material — a spoon works best, according to asafagus — you can let the game run in the background while you weigh out your, uh, what was I saying again? Oh, your oregano. Simply place the spoon on the screen while the game runs in the background. Note the weight of the spoon, as you’ll be subtracting this later. Add your oregano and log the measurement on the scale. Steady Square uses a 0-1000 scale, with 1000 representing 385 grams. Take the measurement from the scale, subtract the weight of the spoon, divide the weight by 1,000 and then multiply the result by 385. I know what you’re thinking: “that’s a lot of work for oregano,” but fear not, chances are the scale will be removed before you have a chance to use it. Once Apple gets wise, it’s only a matter of time.